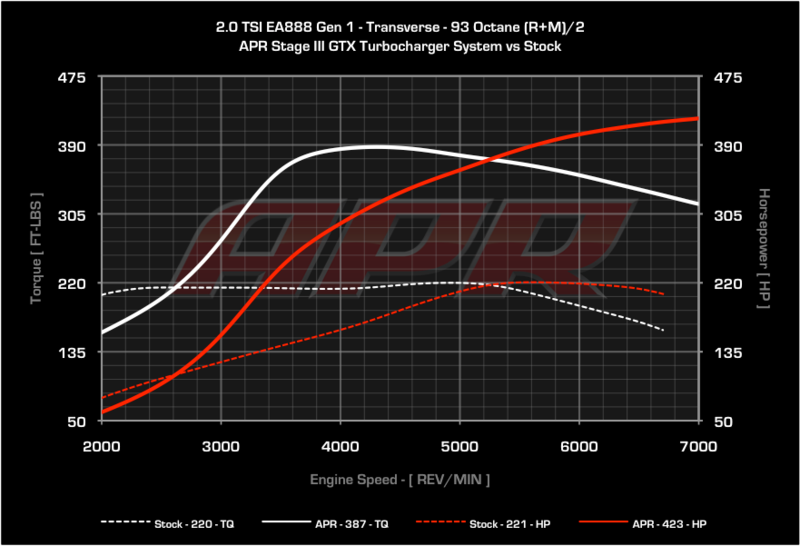 With the introduction of the Garret GTX2867R Turbocharger, APR has raised the bar further and redefined the standard by which the VAG community measures performance, reliability, drivability and quality. Gone are the days of compromise where low-end response meant excessive backpressure, compressor surge, and extremely limited top end performance. True to APR’s mantra of Performance without Compromise the days of shredding tires on front wheel drive vehicles are rapidly disappearing thanks to the new Gold Standard in ECU torque management calibration strategies only APR can deliver. APR’s endless pursuit of perfection has resulted in the most comprehensive 2.0 TSI turbocharger system in the world.In 2008, shortly after the worldwide release of the 2.0 TSI engine, Volkswagen of America commissioned APR to build the Stage III GT Turbocharger System for their SEMA concept cars. Successes of these concept cars lead to the first release of the APR Stage III Turbocharger System, based on the then available Garret GT turbocharger, and became a worldwide phenomenon. In the years since, APR has continued to work with VWoA, Volkswagen GmBH, VWVortex and BFGoodrich to deliver more concept cars for SEMA, Wörthersee in Austria, as well as other events around the world, while APR continued testing the latest in turbocharger technology. The Garrett GTX turbocharger’s outlet size, shape, and location differs from the factory turbocharger, necessitating the need for a new downpipe. The APR Stage 3 downpipe features an investment cast, T304 inlet and outlet that perfectly match the 5-bolt flange’s awkward shape. By casting this piece, APR’s engineers were able to make an extremely smooth and organic shape, otherwise not achievable with fabrication alone. The system smoothly necks down to the 76mm design over a long distance, making an ideal flow path for exhaust gasses and power. The flex section is a low-profile design that will not internally fray, billow and fail like others on the market and is TIG welded with argon back purging to the casting. The o2 sensor bung, turbo flange, and mounting bracket flange are all cast into the design, and the mounting bracket itself is made from a thick, high-quality piece of billet stainless. For customers with an APR Downpipe Exhaust System, the included portion replaces the upper section and mates directly to the APR Catalyst Midpipe. 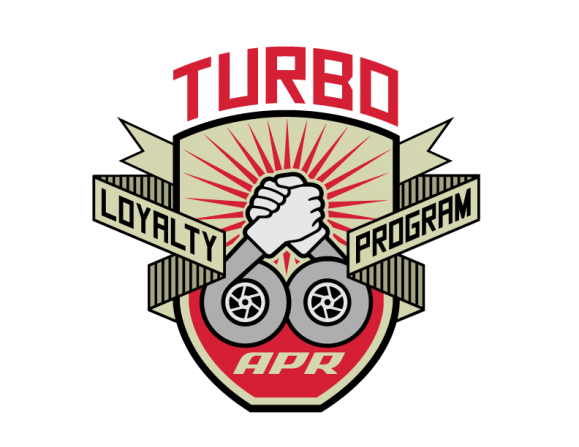 For customers without an APR Cast Downpipe Exhaust System, the APR Catalyst Midpipe is available separately. The midpipe is fully compatible with the factory catback exhaust system. The APR FWD Midpipe or APR AWD Midpipe is required if the vehicle is not already equipped with an APR downpipe. 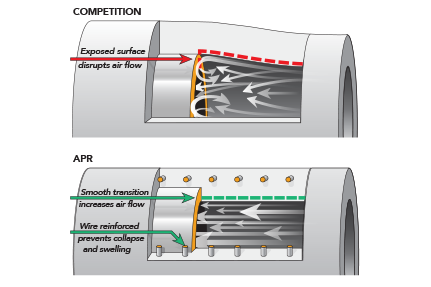 APR cannot make any guarantees as to the longevity of the OEM manual transmission clutch or DSG/S Tronic clutches in every transmission and therefore an upgraded clutch, such as APR's upcoming DSG Clutch Packs, are recommended and may be required depending on the stage, octane, driving style and clutch health. APR's Stage III DQ250 TCU Upgrade is required for DSG / S Tronic models. *Please note, AWD vehicles require an alternative AWD downpipe system and modification to the oil and coolant lines at the owner's discretion.